Wholesale pricing in northern Indiana, the "RV Capital" of the world. Due to our factory direct pricing certain manufacturers will not allow us to post our sale prices. Wana RV Center is located less than 15 miles from all our respected cutting edge manufacturers... Rockwood, Puma, SolAire, Passport, Zinger, Volante, Vengeance, Chaparral, Columbus, Catalina, Stryker, Fun Finder and Shadow Cruiser. This equates more savings and better service to you, the customer. Whether you're looking at a unit in stock or ordering that special unit to fit your needs, we are able to get you in that unit faster than most dealers. We would be happy to deliver the unit to your home. Wana RV Center is a small family owned business and takes great pride in customer service. We have Financing available. Click on the RV Financing tab at the top of the page and fill out the form. Our finance people will match your best option to the correct bank for the best possible rate for you. You are not obligated to use this financing when filling out our form but we think we can save you money. Compare Wana RV - We strive for customer satisfaction. Wana RV Center is located in Northern Indiana where most of the RV’s are built. By being only 8 miles from the Crossroads factory and Cruiser RV factory and approximately 15 miles from Forest River and Keystone factories. We can keep our cost lower than most RV dealerships. We take pride in keeping our cost down so we can pass the savings on to our customers. Due to these savings, we have sold many units all over the United States and Canada. 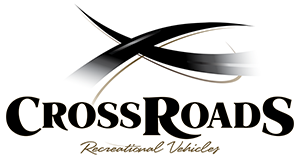 Wana RV Center stocks a full line of Zinger Travel Trailers and Volante Travel Trailers and 5th Wheels by Crossroads RV Manufacturing. By Forest River we stock a full line of Vengeance toy haulers, Puma by Palomino travel trailers, 5th wheels, toy haulers and park trailers, Rockwood Roos, Mini Lites, Ultra Lites and Signature Ultra Lites,travel trailers, 5th wheels,Windjammers, SolAire by Palomino, Columbus by Forest River fifth wheels and Chaparral 5th Wheels and Catalina by Coachmen, travel trailers and destination trailers. Keystone we carry Passport Ultra Lite Travel Trailers. Fun Finder and Shadow Cruiser by Cruiser RV, travel trailers and Stryker toy haulers also by Cruiser RV. Tour our sales lot to find the right floor plan. PUMA by Palomino - Puma by Palomina RV is maufactured by Forest River. Puma by Palomino RV travel trailers, fifth wheels and park trailers offer a unique combination of quality and value along with all the popular features camping families desire. Fashionable interiors are specially designed with first class components and lots of storage space to make leisure living comfortable and carefree. Whether camping solo or with a large family this Puma by Palomino RV product has a wide choice of innovative floor plans that let you choose the right one to accomodate your needs. Give Wana RV a call for your Puma by Palomino RV. SOLAIRE by Palomino - The SolAire Ultra Lites by Palomino are the results of superior design and modernization. Striving to meet all the customer’s demand this trailer provides a smooth ride with independent suspension axles, aluminum superstructure frame for light weight towing and barreled ceilings for a more spacious interior. Choose from 14 different floor plans, there should be one to suit your needs. Call Wana RV for a SolAire by Palomino. ROCKWOOD RV by Forest River - Whether you're a weekender or a full-timer, Rockwood has the model and floor plan for you. The Rockwood Roo focuses on easy set up and camping comfort with a full line of expandables. The Rockwood Mini Lite Travel Trailer are excellent for those who want to move from the tent camper to a light weight towable. Rockwood by Forest River then moves up to the Ultra Lite Travel Trailer line, Rockwood Windjammer V-front Travel Trailers and then a full line of Rockwood Signature Ultra Lite Travel Trailers and Fifth Wheels. The Rockwood Signature Ultra Lite is the ultimate luxury product in the light weight trailer market. Give Wana RV Center a call for a Rockwood RV by Forest River. "A New Breed of Toy Hauler" has arrived. The Vengeance Super Sport by Forest River, Inc. Value that can't be beat. Floor plans that fit your needs and features that you want. 102" wide body with Tuff ply cargo flooring in garage. 8' ramp door. Give Wana RV Center a call and purchase a new Vengeance Toy Hauler by Forest River Mfg. FUN FINDER by Cruiser RV - The Fun Finder by Cruiser RV is leading the ulta light weight market once again with its aerodynamic front profile. The Fun Finder features a fiberglass front cap, all aluminum construction, LED light package, flush floor slides, electric awning and Equa Flex suspension by Trailair. The Fun Finder is 1/2 ton towable. You can be assured that the Fun finder has all the features and optionsyou would want on a travel trailer. Fun Finder by Cruiser RV will meet all of your needs for your short to extended stay adventures. Call Wana RV Center for a FUN FINDER by CRUISER RV. SHADOW CRUISER by Cruiser RV - The Shadow Cruiser by Cruiser RV, the new benchmark for value in a true ultra-lightweight. If you are looking for sleeping up to 10 and a floor plan that is functional and easy towing you want a Shadow Cruiser by Cruiser RV. Fully laminated, aluminum framed construction, fabric night shades, Havana Maple cabinets, The Shadow Cruiser has all the exterior features you'd expect from Cruiser RV, including exterior waterproof speakers, rain-tilt electric awning, dark tinted safety glass windows, aluminum wheels and upgraded graphics package. Shadow Cruiser by Cruiser RV is truly aerodynamic and easy to pull. Call Wana RV Center for a SHADOW CRUISER by CRUISER RV. COLUMBUS by Palomino manufactured by Forest River, Columbus Fifth Wheels make traveling anywhere a perfect excape from the everyday world. Well designed floorplans provide versatile living quarters with plenty of storage for everyones gear. Columbus by Palomino fifth wheels have the true 5-side lamination: sidewalls, slide-out, end wall, rear wall, roof and floor are framed in aluminum and laminated. Bubble foil insulation in the underbelly for added R-Value, Heat pad on all tanks. Columbus high gloss exteriors are available in two color schemes - Cream and Gray - with full body skirting to enhance aerodynamics. All Columbus floorplans include a high rise residential faucet, stainless steel microwave/convection oveen, a 3-burner stove, oven and resiliant, mold and mildew resistant flooring throughout. Keep Columbus by Palomino and Wana RV Center in mind when you are searching for your next RV. We are sure to have the best model that fits your family needs. Give Wana RV a call for your Columbus by Palomino Fifth Wheel, you will be glad you did. CATALINA by Coachmen - Quality is evident in a Coachmen Catalina Travel Trailer. Catalina goes above and beyond to offer features and benefits designed with the traveling camper in mind. Catalina's full radius smooth metal front end creates a more aerodynamic unit. Their Thermofoil countertops will not cold crack like a T-mold Edge or Self-Edge. It will also withstand moisture better because it is sealed so no water can penetrate. Standard 6 gal DSI gas/electric water heater , some models even come standard with a fireplace. Keep Catalina by Coachmen and Wana RV in mind when purchasing your next Travel Trailer. With the a full line of floor plans we are sure to have the best model that fits your families needs. .